Canon_photos are back with a blog about gear must haves. Recently we have decided to let our fans know what gear we use and what we can recommend to all of you. The blog will outline, what we think are must haves when starting out in the business. The canon 750D marks one of Canons entry-level DSLRs, which we can recommend when you are planning to get your first ever DSLR Camera. Few of our team members started out with this camera! The camera has a 24,2 Megapixel APS-c sensor and has the ability to capture stunning photos and Full HD video footage. The camera is usually sold with the 18-55mm kit lens, which is the perfect way to enter the world of photography. 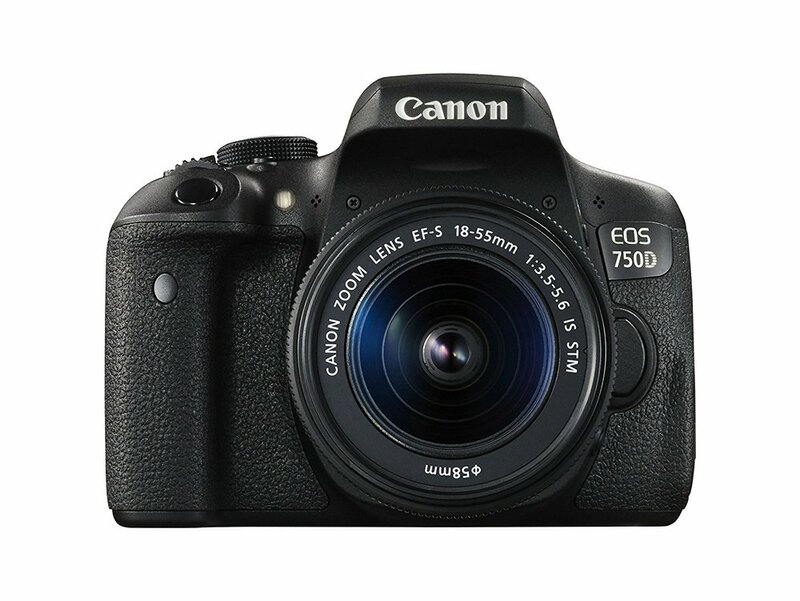 One of the best entry level DSLR's, the Canon 750D! 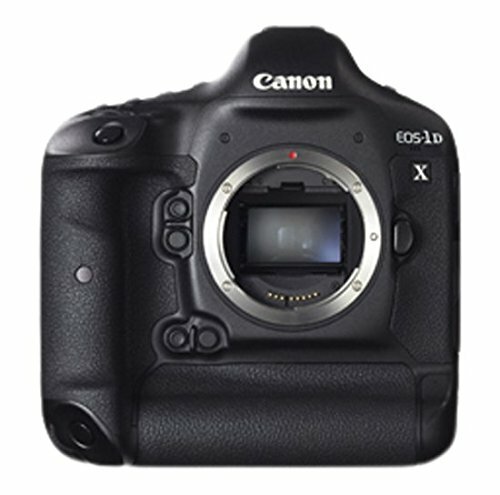 The canon 5D mark III is the perfect accessory for any high level amateur or professional photographer. The camera has recently been succeeded by the newer Canon 5D Marl IV, but still holds up as the most sold professional camera made by Canon in recent years. The camera is used by team member Ian Harper (@Ianharper). Just click for his instagram if you are interested in some impressions. The camera offers a 22 Megapixel full frame - CMOS sensor, which handles low light really well. You also have the ability to record Full-HD video. The Canon 1dx Mark II is the flagship of Canon. This camera comes at a slightly higher price tag, but is the one trusted by almost every high end professional photographer around the globe. This camera is trusted by Canon_photos founder Henry Nathan (@henry.nathan). One of the most versatile lenses Canon has to offer. Perfect for landscapes and architecture with superb sharpness and extremely good low light capabilities. This lens should be in every photographers bag. If the lens is too pricey for you, check out the f/4 version of this lens, which is not quite as good in low light, but still everything you'll ever need when you shoot mostly on tripod. 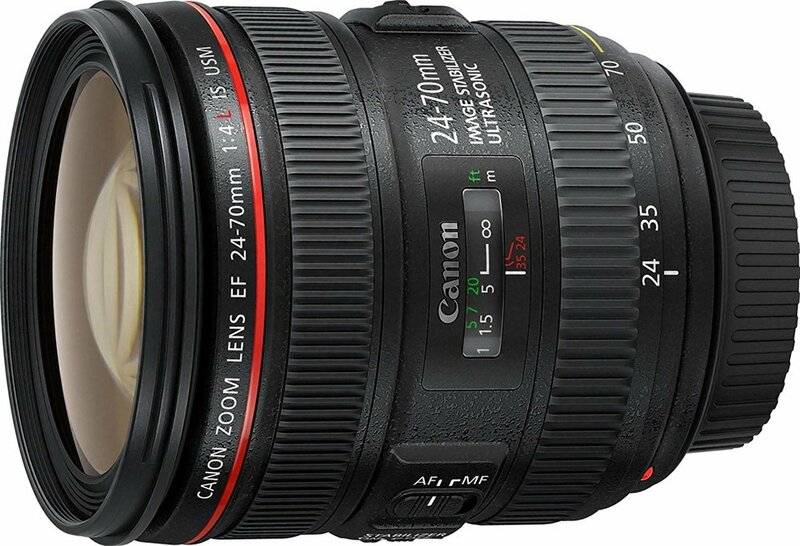 One of Canons more budget lenses, which is a killer for portraiture due to its big aperture. 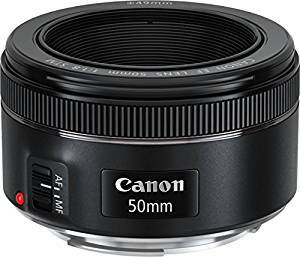 Some professional portrait photographers we know mostly shoot with just this lenses, as it offers unbelievable value and quality for the price. There is also a slightly more expensive f/1.4 lens (around 100 bucks more), which is able to produce an even bigger depth of field, which can be really nice when mainly shooting portraiture. A lens, which every marco photographers tends to have. This is the perfect accessory if you want to get closer than ever to your subject. For us, this lens is an always "on the camera" lens, meaning we usually don't even take this one off the camera. It is extremely versatile for all kinds of photography subjects. We have shot portraiture, architecture and landscapes with it and it never let us down. For this lens, there is also a cheaper f/4 version, which team member Steffen Eisenacher (@se_images) uses for most of his shots. Drones have become a huge part on the photography market in the recent years. These are the drones we have personally tested and can recommend. DJI Phantom 4, successor of the DJI Phantom 3, is a drone trusted by many arial photographers. Especially with the recent drones released by DJI, this drone has seen a price drop to make it affordable to most people. We have tested this drone and can highly recommend it. The DJI Mavic marks on of the newer released drones by DJI. It features amazing 4k video, 12 Megapixel RAW photos and up to 30 minutes of flight. This drone is the one we recommend the most, if your budget is not an issue, as it offers most value for the price. If you are happy to cut down slightly on flight-time and Image quality the DJI Phantom 4 Pro is the one for you! To see all the features follow the hyperlinks down below! 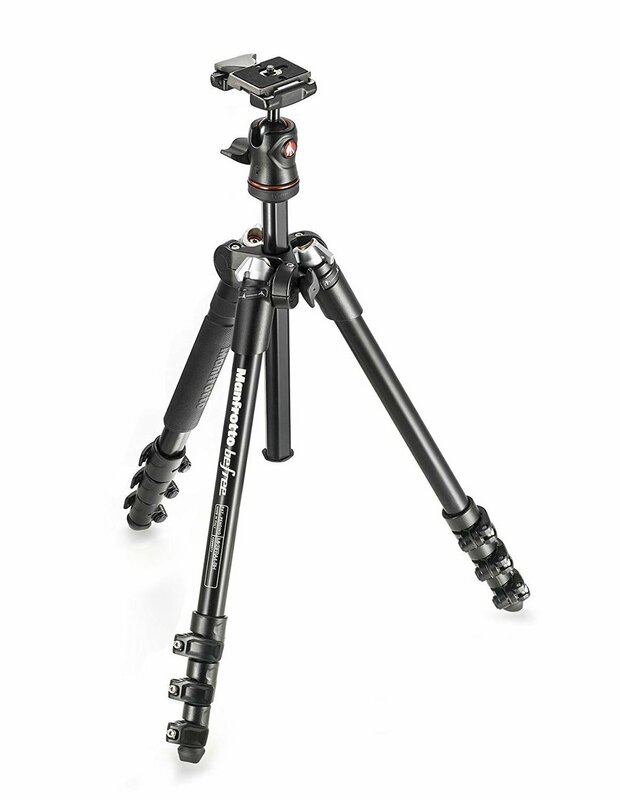 There are a few Manfrotto tripods, we can recommend, including budget ones, ones that are perfect for travelling and sturdy ones, which will never let you down. The perfect Travel Tripod. Lightweight and small, the Manfrotto Befree! This tripod is one of the more budget tripods offered by Manfrotto. It support weight up to 9kg. This tripod was announced on of the best tripods they have in terms of value and sturdiness by many photographers and tech services. The BeFree is one of the best travel tripods Manfrotto has to offer. It is light, sturdy and extremely small when collapsed. For more view the hyperlinks down below! Glidecam is known for producing some of the best camera and filming accessories. The Glidecam HD 4000 is perfect to get these really smooth camera movements you often see. We have used this one for some of our promotional videos we have created and can really recommend this slider, if you're looking for something like this. **Transparency: By clicking and purchasing through any of the above links, CP Collectives will receive a small percentage from AMAZON UK. You won't pay anything more than you would normally, but you will greatly help CP Collectives and @Canon_photos. How to photograph the Perseid Meteor Shower? August usually means Summer, at least for the northern Hemisphere and the Perseids. The perseids are an amazing meteor shower usually occurring during mid August with up to 150 meteors an hour. In 2018 the peak is happening tonight (12th of August) and tomorrow night! In this blog I will outline how to capture this amazing event with your DSLR or even with your PHONE! - A tripod that keeps your camera steady during longer exposures. - Clear Skies, check the weather forecast. Small clouds could ruin the shot! - A dark place in your region without too much light-pollution. Lightning Pollution Maps is a great service to find a dark place close to you! - A wide-angle lens (phones usually have ultra wide angle lenses attached). Meteors often travel along the whole sky! How to set the camera? 1. You will need to select the manual modus on your Camera of choice. If your phone doesn't allow this, there are great 3rd party apps. The biggest names are Camera+, ProCam 5, ProCamera (for IPHONE) and Manual Camera (for ANDROID). 2. 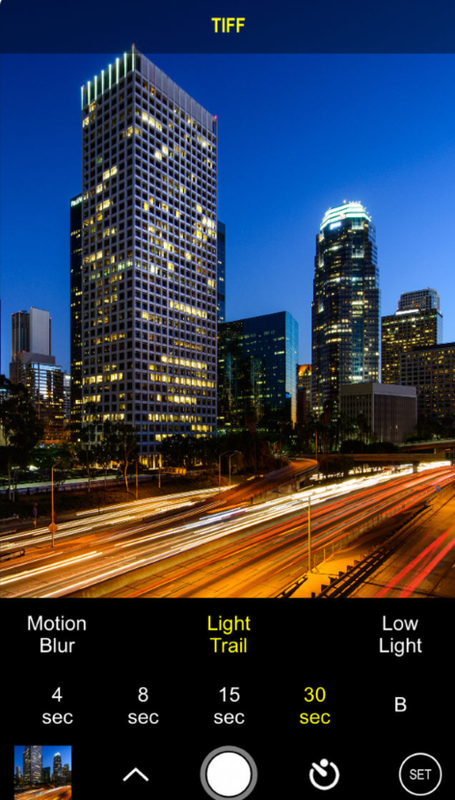 Deselect autofocus and set the focus to "infinity" or focus on a star through live view! 3. For the shutter speed you should set something between 15-30 seconds. For the Aperture you should select the lowest you can possibly set, as you want to collect as much light as possible during the exposure. For the ISO you start at something like 640 and work your way up depending on the location you are shooting at. NOTE: Especially on Smartphones the shot will get noisy! SO GO AND HAVE FUN AND ENJOY THIS AWESOME EVENT! The "How to photograph the northern lights" will mark the third tutorial being published on my website. The tutorial will outline the basic settings for the camera and what you need to look out for during the shoot. But before we get into the technical part of this blog, I want to tell you a bit more about what you are actually trying to capture and why it occurs. The northern lights or also Aurora Borealis are an absolutely stunning atmospheric phenomenon. In the northern hemisphere they are called, as already stated Aurora Borealis, and in the southern hemisphere they are know as the Aurora Australis. The lights are caused by a collision of charged particles released by the sun and gaseous particles of the Earth's atmosphere. As seen in the picture above, there are multiple different colors visible, which are caused by different particles colliding. The most common colour is a yellowish-green color, which is caused by oxygen particles located around 60 miles above the earth. The rare, red colour is produced by oxygen located approximately 200 miles above the Earth's surface, while the blue or purple colours are known to be caused by nitrogen. 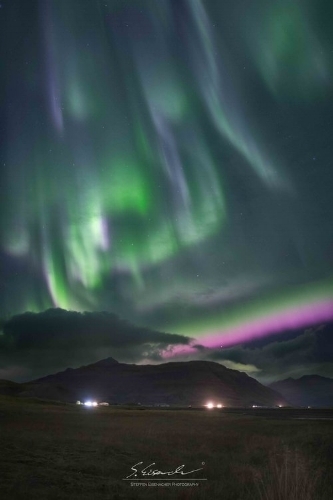 WHERE CAN THE AURORA BOREALIS/AUSTRALIS BE OBSERVED? WHAT WLL YOU NEED TO DO BEFORE HEADING OUT? A good start would be to check the the weather forecast for the place you are intending to shoot at. If there is clouds in the sky you are going to have a hard time shooting the lights. You will also have to find a dark place, shooting in heavily light polluted areas will result in low visibility, as it dims the lights. To check light pollution there is a great website, Dark Site Finder, that shows a map with dark spots in your area. Websites like Spaceweather offer reliable forecasts up to 3 days, for you to check in advance if there is any auroral activity occurring. When on site for the shoot, I recommend having installed an app to monitor the current activity. An app I am using for this is called Aurora, which is available for both Android and IOS. Another thing to consider is, that when the moon is shining, it will also dim the colour and brightness of the lights. - A tripod that keeps your camera steady during long exposures. WHAT SETTINGS DO I NEED? The settings of the camera are the most challenging task, as it very much depends on how quick the lights are moving. I have attached a video captured by Garðar Ólafsson below this paragraph for you to see how quick these can move. So if you want to have nice detail in the lights, you will have to set up a fast exposure. The weaker and fainter the aurora is, the longer you can expose for. To make this more specific, I will now outline the settings for each of the three parameters, exposure, aperture and ISO. Your aperture should be as wide open as possible. 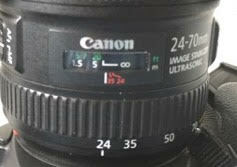 Some prime lenses i.e f/1.4 are often shaper and have less coma when stopped down a bit. Usually, as already stated above, I wouldn't go with anything smaller than f/4. That being said, you will definitely be able to shoot the lights even at something like f/5.6, but it won't give you much room to play with, especially when it comes to post-processing your photographs. I usually would recommend setting the ISO between 1000 and 6400. The huge variation is depending on what kind of camera you are using. For example when using an entry level APS-c sensor camera like a canon 700D, I wouldn't set the ISO any higher than 1000-2000, but when you've got a full frame camera like the 5D markIV or a Nikon D750 or D810, then you can easily set your ISO to up 6400 and you will still get very much usable photographs. I always recommend to try out different ISO setting by yourself though, and see what works best for your location. Especially when there is snow and maybe even a full moon, ISO can be set significantly lower. As already mentioned above, the shutter speed can greatly vary depending on the auroral activity. The quicker the northern lights move, the faster your exposure has to be. Usually when aurora is week, I will start at something like 20-25 seconds. Once it picks up you can adjust the shutter speed. When you experience a geomagnetic stormas seen in the video, I would not expose the sky for any longer than 1-5 seconds. HOW DO I FOCUS WHEN IT IS DARK? Especially when shooting at night, focusing can be tough! Here is how I handle focusing during night time. - Put your camera into manual focusing. - Open Live-View on your camera and use digital zoom. If your camera doesn't support Live-View, here is another option. It is called Infinity Focusing. Go and have a look at your lens now. Almost all lenses have an infinity mark on their focus ring [Pictures below]. Just set the camera to infinity. With some lenses the infinity mark is not absolutely correct (i.e. Samyang/Rokinon lenses). What I suggest is to take a shot, see if you are happy with the sharpness, and if not, slightly adjust the focus ring and check again. If you found the sweet spot, I would use a little bit of tape to mark the spot, that you find it easier for the next time. You can also do this at daylight of course, so that you don't have to worry about this at night. Shoot RAW: Shoot your images in Raw! This will give you much more opportunities in post-processing. When you shoot JPEG you will most likely not be able to recover shadows or highlight as you would have been able to when you shot RAW. LCD Screen: Turn your brightness of the LCD screen all the way down. In complete darkness the picture might lookgood, but when you put it on the computer the next day you might only see black. This has happened to me often! 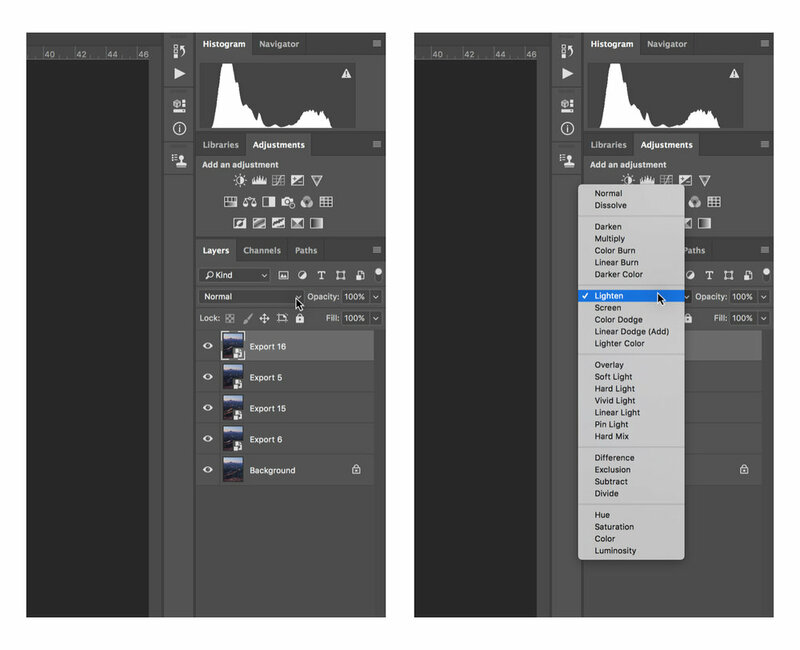 If you are still not sure, you could also quickly check your histogram if the shot is properly exposed! Tonights lunar eclipse will be the longest we have seen in the 21st century. The totality will be around 1 hour and 20 minutes, while the whole eclipse will almost take 6 hours. During the totality phase, the moon is going to have a bright red color, hence the unofficial name "Blood Moon"
Usually we would see the moon in a white colour, as it reflects the light caused by the sun. During an eclipse, though, the moon enters the shadow of the earth. In the earths atmosphere blue light is filtered out, meaning that the bypassing light, which is reflected off the moon will be red. How to photograph the lunar Eclipse? - A lens with 200-400 mm focal length for close ups, you can go wider as well if you wish. - Make yourself familiar when the moon rises and sets at your place! A shot of the 2015 lunar eclipse, as seen from southern Germany! This was shot at 70mm and cropped! That's a hard question, and I will tell you why. During the eclipse the moon changes from white and bright to dim and red, meaning that you will have to adjust the camera during the eclipse. When photographing the standard full moon I usually start off with something like 1/300 to 1/400 of a second, wide open aperture and a low ISO, like 100. Especially when shooting with a 400mm lens you will need a fast shutter speed, if you want your images to be sharp. If you have a tracking mount you can expose for longer, of course. I suggest that you start off with the above settings and then just play around and see what works best with your camera and lens! Once the the eclipse goes towards totality (the phase where the moon is way dimmer), your exposure can well be up to 1-2 seconds. Don't shoot longer than that, and rather increase your ISO to ensure sharp photos! If you want to shoot the whole eclipse, be prepared, as it almost takes 6 hours. So pack something to snack and to drink, and ensure that you've got enough batteries and storage. Last time I photographed the eclipse I filled two 64 GB SD cards. The Lunar eclipse is a stunning astronomical occurrence and really easy to shoot. I wish you guys all the best of luck, especially weather wise. And don't forget to look up and take it all in! Was this quick tutorial any help for you? You are still confused and want to know more? Let me know in the comments below! How to shoot panoramic photos. A tutorial from shooting to editing. Sometimes a landscape can be really overwhelming and beautiful, but when photographing such a scene, you might get disappointed. Imagine standing on top of a huge cliff overlooking the landscape. The view is absolutely breathtaking, but your images turn out rather boring. The result doesn’t look anything near what you see with your own eyes. How is this possible you might wonder. The explanation is that our field of view is much wider than the single frame from your camera. An ultra-wide angle lens will do the trick you might think! But if you would use, lets say a 14 mm lens in order to widen the field of view, everything will look small and far away. This of course reduces the impact of the photo too. So, what can we do to capture an image that is as stunning as the view itself (read: almost.. nothing is as stunning as being actually there of course). The answer is quite simple, we make a panoramic photo! 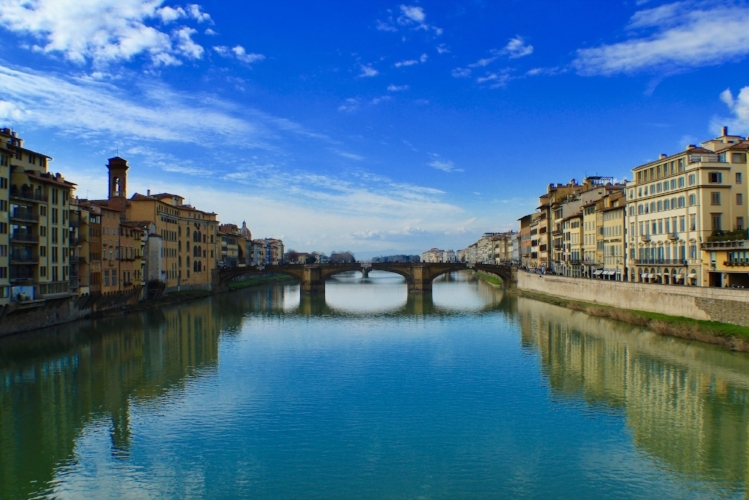 In this post I will try to explain how I make panoramic photos. I will talk about the things you have to keep in mind, and finally, I will show you how I stitch my images using Lightroom. There is plenty of good software that will do this for you, but I think Lightroom does an amazing job with just a few clicks. There are devices like smartphones and compact cameras that are capable of making panoramic photos by simply panning the camera along the horizon. This works fine if you just want a nice holiday photo, but we are going to focus on taking a panoramic photo with a dSLR. As with normal photos, you’ll get the best results when photographing in Raw. The file with get a lot bigger but you will have a much more information to work with, resulting in a higher quality panoramic image when post-processing. The view you get when standing on top of Reinebringen is so overwhelming that a single-frame-photo won’t do it justice. Five images shot with a Tamron SP 24-70 F/2.8 @ 24 mm | F/9 | 1/125 sec | ISO 100. When taking the photos for the panoramic, you can do two things. One, you can put your camera into landscape orientation, or two, you can put your camera into portrait orientation. Would you be shooting a panoramic image in landscape, the result will be a narrow image (less sky and foreground, lower resolution, lower margin of error in post). 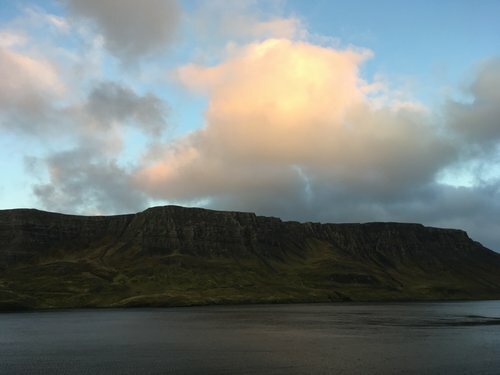 Whilst shooting in portrait mode will result in a broader panoramic image (more sky and foreground, higher resolution, higher margin of error in post). More of the sky and more foreground can make for a much more impactful image. A downside of this method is that it requires more photos (and thus a higher chance of making mistakes), and because of this the file gets much larger. If you want the photos to aline perfectly, you need a sturdy tripod. The next step is to make sure that the tripod is leveled. Most high-end tripods have a waterlevel which can be used to do this. It requires some practice but trust me, it’s really useful and worth your time. If the tripod is leveled, your photos will be straight and stitch perfectly without losing much of the top and bottom. If you have enough margin of error, you can come away with losing some of the photo, but sometimes you need the whole frame to fit everything. I learned this the hard way and had to trow away one of my panoramic images because my tripod wasn’t leveled! Next to having your tripod leveled, it is important that your ballhead is straight. This way the horizon will be straight. Most ballheads have a waterlevel making it as easy as leveling the tripod. But a lot of ballheads (especially the cheaper ones) have a waterlevel that only works in landscape orientation. This means that if you want to shoot in portrait orientation, you need to use an L-bracket to be sure the horizon is straight. You can read this article for an explanation. You can use filters when making a panoramic image but you have to be careful. With every shot you take, make sure to check whether the filter still does what is supposed to do. The filters I use the most are gradual ND filters and a polarizer. When you pan the camera, the relative angle with the horizon changes. And, as a consequence, the position of the gradual ND filter. This means you have to correct for this by adjusting the position of the filter. When using a medium- or soft edge filter you will get away with this but when using a hard edge filter a slight shift will introduce an error immediately. If this goes unnoticed, it will ruin your panoramic image. Furthermore, some parts of the photo may become too dark (if you pan away from the sun for instance) and you might need to swap the ND grad filter for a lighter one. Another filter that might introduce errors is the polarizer. Although fantastic in landscape photography, you need to pay extra attention when using this filter for panoramic photography. The reason for this is that the strength of the polarization depends on its angle with the sun. The filter is at its strongest when in a 90 degrees angle, thus when moving the camera either towards or away from the sun, you have to correct this by adjusting the polarizer. If you forget this you will get a dark area in your stitched panoramic. The arrows mark a dark area in my photo. This is caused by the polarizer, I had forgotten to adjust my polarizer while panning. This illustrates that you have to adjust the amount of polarization when panning. In order to know where the darkest spot (the 90 degree angle) will be, you can form a pistol with your thumb and index finger and point towards the sun. Keep pointing straight towards the sun and If you now rotate your hand clockwise or counterclockwise. Your thumb will point towards the area with the maximum amount of polarization. Take this into account when making your panorama and check with every photo. It would be such a pity if you get home and discover an ugly dark spot in your photo like the one shown above. When shooting panoramas in low-light conditions, for instance at sunrise, the difference between the image closest to the sun and the image furthest away, can be too big. If this happens, you can balance the exposure by adjusting your exposure. This can be done by adding stops (1 stop is the doubling of halving of the amount of light let in by the camera). For example, if we make a panoramic that consists of 5 photos, with the sun in the first frame, we set our exposure in a way we’ll get a pleasing result, than if we move to the second photo, we adjust the exposure with 1/3 stop, the third photo will get 1/2 a stop, the fourth will get 2/3 and the fifth 1 full stop. This is just as an example, again, the best way is by checking every image. Of course, the difference in light is something natural and is a consequence of the sunrise, therefore part of the difference should be left untouched. Otherwise you will end up with a flat and unnatural looking image. It sounds obvious but make sure that every single shot is in focus. It might be that when panning the camera, the foreground gets out of focus. If this is your main subject, than your panoramic is ruined. But also take notice of the wind. A panoramic consisting of long-exposure shots, can easily be ruined by camera movement. It would be a real pity if you get home, stitch your shots and discover that one of the images is softer than the others because of the wind. Furthermore, if plants (trees, reeds, flowers etc.) are in your frame and it is windy, they will become blurred. The wind can cause another problem that can even be evident at lower shutter speeds. 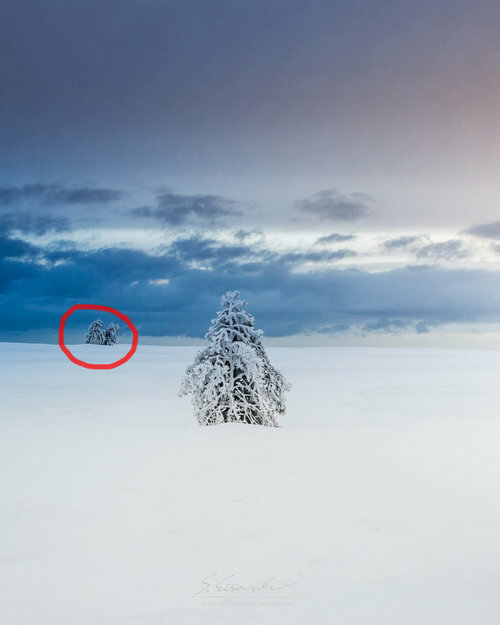 If the wind changes the shape of a tree for example, and this tree happens to be close where the frame gets stitched, an error will occur leaving an artifact in your panoramic shot. Wait for the wind to settle or make sure no movable objects are within the range of the stitched area. As I mentioned in the introduction, there is plenty of software (both free and paid) to do the stitching for you. I like to use Lightroom because it works in a convenient way and does an amazing job. It is really simple too. First you choose and edit the images you want to stitch. When editing for a panoramic, only stick to global adjustments first, then use synchronize to apply the settings to all the images, and manually adjust each image if necessary to make them fit perfectly. Lightroom will only use global adjustments when stichting. If you want to make local adjustments like a radial or graduated filter, you can do this after the image is stitched. Next you select all images you want to use and right-click one of them. Choose Photo Merge –> Panorama. Now you will see a dialogue box with 3 different projections, an option to auto crop, and a boundary warp slider. On the left side you’ll see the preview of your stitched panoramic. This projection stitches your image as if placed onto the inside of a sphere. Best option for really wide, multi-row and 360 panoramas. This projection stitches your image as if placed onto the inside of a cylinder. Best option for very wide panoramas. This option tries to keep vertical lines straight and works really well with landscape photography. This projection stitches your image as if was placed onto a flat surface. Tries to keep vertical lines straight and works best for architectural photography. Doesn’t work very well for very wide panoramas because it tends to distort the edges a lot. After choosing the projection mode that fits best to your image, you can either choose the Auto Crop function (to crop the white edges off) or use Boundary Warp (to fill the frame by folding the edges). Press Merge when you are satisfied. Depending on the amount of photos and the size of the raw files this might take a while. The output file is a Digital Negative Raw file (DNG). This file can be edited like a normal Raw file. Now you can do local adjustments as well. For instance to remove small stitching errors or to brighten or darken the sky. How to improve your smartphone photography. I have been receiving tons of questions if I could write a blog about smartphone photography. These days almost everyone has a smartphone capable of taking great photos. At daytime or when shooting in good light, you can almost not see a difference between a very expensive DSLR camera and a smartphone. Some of you also mentioned that they can't afford a DSLR or mirrorless camera at this time and just wanted some tips on how to improve their current way of shooting. It's not about the camera you own, it's about what you do with it"
Down below I have gathered some tips on what you can do to shoot stunning images with your smartphone. ALL IMAGES IN THIS BLOG WERE TAKEN WITH A PHONE. A.) Choosing the right light is most likely the most important thing when it comes to photographing with your smartphone. Smartphones, especially new ones, tend to handle shooting at daytime really well, but then again, since their sensor is really small, shooting at low light situations is going to be a problem. I would suggest, that if you want to take nice images with your smartphone to only shoot, when there is sun or enough artificial light around. If it is too dark you will end up with a really noisy image. B.) There is another important reason why shooting with the right light is so important. It creates interest. Especially since a smartphone usually doesn't have a lot of Depth of Field or Dynamic Range, light is what can give your photograph that stunning depth. Compositional rules are very important. Composition is what creates interest. Composition can make you tell a story with the image. The most important rule would be the rule of thirds. Down below is a screenshot of the camera of my phone. Can you see the lines? That's the rule of thirds.It is basically dividing the frame of your image and tells you where parts of the image should be placed to create a visually appealing image. As you can see, the rock is placed on the left third of the image and my horizon has been placed along the bottom third of the image. The grid can be easily set up in the camera settings on both on IOS and Android. If you are keen to learn more about composition, I have a blog exclusively on that matter, which covers it all. To read it click HERE. A lot of people hate on others if they are using filters or if they are editing their pictures. Don't listen to them! Editing your pictures is very important. Things like increasing the black and white parts of the image, increasing the shadows and dropping the highlights or even adding a bit of saturation are important in digital photography. But be careful to not overuse filters and editing. If your pictures are overly edited, it really does look bad sometimes. Down below is and image edited in the iPhone camera roll, no special programs used. Tip: Consider different editing styles, as well. I really like this shot in Black and White. Edited in Camera Roll. No app or programs used. A lot of smartphones give you the ability to shoot with manual settings. Shooting manual is a great way to learn about photography and the different parts of the exposure triangle (Shutter Speed, Aperture and ISO). If you are a little more experienced and have already learnt how to edit, most of these smartphones also give you the ability to shoot RAW (a lossless file format and uncompressed, which gives you a lot of benefits during post-processing). If you are shooting on an iPhone you might be thinking: "I can't do anything like that". You are right, the standard camera coming with the iPhone and some other smartphones, doesn't support manual shooting. BUT, there is a ton of third party apps which are able to give you that litte more freedom. The biggest names are Camera+, ProCam 5, ProCamera (for IPHONE) and Manual Camera (for ANDROID). Most of these apps will set you back a few bucks, but it will help you to improve your photography greatly. Yes, a thing as easy as that can get you better pictures. If there is dust on the outside of your lens you are going to have ugly spots on the final image. Especially when you keep your phone in your pocket for most of the time, remember to just wipe off dust that might be on the lens before taking the shot. Zooming on a smartphone can really ruin your shot. Most smartphones only offer digital zoom, what basically just means that you are cropping the photo before taking it. The further you zoom, the more quality of the image is lost. So if you have the ability to move closer to the object you are photographing, do it. Walking just a few meters towards the point of interest is going to make a huge difference in the end! If you are a landscape photograpers trying to get his work out there, you have surely heard about that one big imaging platform called Instagram. So you made yourself a profile and started dropping all your gorgeous work that you worked hard for and suddenly you wonder: Why is nobody liking my images and why do I have 50 followers while others have thousands and just keep growing? There reason for it isn´t one- it´s actually many and I´ll try to cover some of them here in this article, giving some tips along the way that have worked for me in the past. I´ll also cover why this isn´t exactly working super effectively for myself anymore at the end of the article. The idea for this article came to my mind after receiving many direct messages about the topic on my Instagram account, so I thought my answers might be interesting for others as well. Using Instagram with the expectation to have a growing following isn´t an easygoing thing. For most people at least, unless you are already a superstar in the worldwide photography business. BUT we are not one of those right (at least not me). So for us it will be a decision that more than anything else will involve time spent on the platform and some changes to our imagery done especially to post them effectively on Instagram. 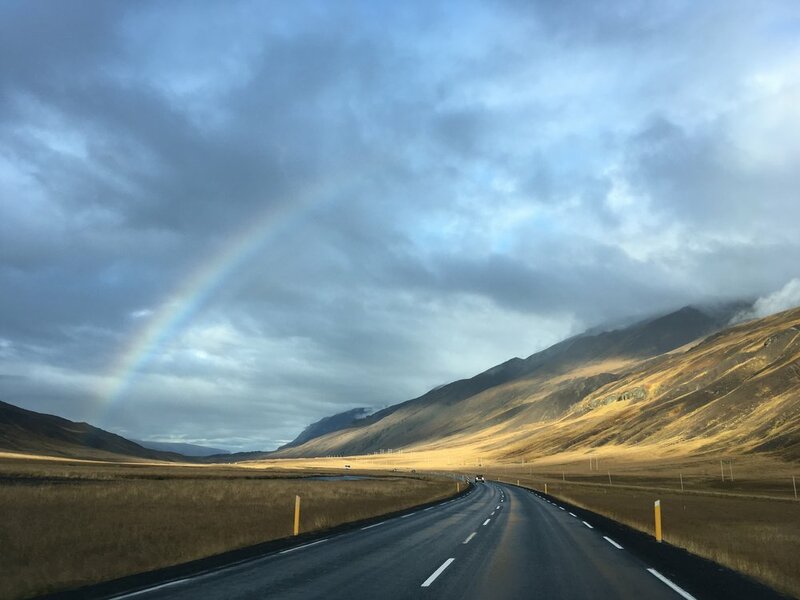 You might have read this often, but because it´s true you´ll read it again here: You need to spend time on Instagram in order to grow- „post and run“ does not work! So prepare to have at least an hour, better two or more per day to spend „working“ on Instagram. Engage with people that have similar interests and well running accounts. While it might be effective to simply like and comment whatever stuff you see, don´t do it and choose images and photographers whos work you really cherish and like. After all you are trying to build a name for yourself and it´s important to stay true to quality. Once you have some kind of „name“ you want people to appreciate a like given by you, because they know it´s honestly telling them that they did something right. Same applies for following people, so watch out that you don´t fall in the follow/unfollow trap and instead curate the list of people you follow. I also follow friends that aren´t photographers at all and some people i also follow because they are just fun people. In those cases i don´t care about the imagery they post, but for those photographers that i have been following: I follow you because i appreciate your work. Different to other imaging platforms, on Instagram you know 100% that people will be seeing your work only on a very small screen. And your image will compete with bazillions of others beeing posted at the same time. You only have a fraction of a second to capture the viewers interest to get him to double tap and maybe even drop a comment. So your images need to stand out in some way. Ignoring this might be the biggest mistake causing people to not grow on Instagram. They process the images like they always do and then upload. Most likely it will be looking quite dull on the phone, because the size factor that other platforms offer get´s lost. The image won´t just stand out because of a neat composition and when very subtle colors can totally work seen on a big screen, on a little phone screen they might look less interesting. Now comes the hardest part for us landscapers that often tend to shoot landscape formats or even panoramic work. Landscape format does not work well on Instagram. Why? Because only a small part of the screen is used to display the image. Your phone screen is the canvas that you have to display your image, so make sure to use it to the fullest. So you´ll have to shoot vertical format (I use this format very often because I love portrait format landscapes, i was lucky there) or if you shoot wide, crop the images to square or portrait format in order to fill the screen with them. At this point i got some reactions from people that didn´t want to follow the tip of keeping the aspect ratio of posts in mind. They made a principle about not adjusting/applying changes to their work just because of a social network. But in my opinion one can totally do that without loosing the realness factor- if you spend time on platform then do it effectively. At least that´s my view on it. Instagram is not your real portfolio- that one should be on your homepage or somewhere else where people can really appreciate your shots in full size with all the important details that you worked out carefully in the field and afterwards on your postprocessing system. Instagram is a valuable tool for self promotion of your work and it doesn´t make you less of a landscaper if you adapt to it a little bit. It will instead only improve your Insta experience. It´s a good idea to post the images with a little higher saturation and contrast than you would normally do. Also enhance sharpness and structures slightly in the app. Don´t go too far, but something like dialing in something in between of +5 and maximum +15 will do your images a favor as they will look more crisp. While it might seem obvious to most of you reading this, there are still some that post on Instagram expecting people to see their work, but have never really spent thoughts about why people keep tagging their images. In this huge ocean of posted images, hashtags are a way of getting your image seen by people with certain interests. But to use them to their full potential you need to understand how they work. There are very popular tags that are used very often and others that don´t get used much. Using #landscape (87 million tagged images), #sunset (176 million) or #nature (328 million) is not effective unless you are already getting thousands of likes on your shots in rather short amount of time. Your tagged image will dissappear from the tag list in seconds as so many images get posted with these tags. Drop them in every now and then, but don´t make it a strategy to use them. Better look out for tags that have between 30k and a million tagged images- there you have the biggest chance of getting your image seen because of the used tag. Also it´s not the smartest thing to use tags with very low tagged images, because it´s most likely that noone is interested in them (unless a promising new hub or company has just invented the tag- then try it). While you can use up to 30 hashtags per post, lately it seems to be better to use between 10 to 20 max- don´t ask me why this is the case. I just noticed it in the last year. Same applies to where you drop the tags. I personally prefer to put them in the comments as my captions look more clean this way, but i don´t think that it has an effect on how the mighty algorythm ranks the image. If you really want to use Instagram as a landscaper, tripod warrior or whatever you wanna call us, realize that it´s not the best idea to ignore the key factors that can make your work function on the app. Traditional landscape photography is not the ideal kind of imagery for this app- you see it when you look at other photographers that chose the way of a rather documentary style of landscape photography that many call adventure/lifestyle photography. Here they often place humans doing something or interacting with the scene in the frame. I really love this kind of work by many artists out there when they achieve to create that strong feeling of wanting to get out into nature and gaze at the elements. Often I also find it rather boring when I notice that it was just done to have a potentially popular image. While this style of imagery is definitly more likely to quickly gain traction I have never considered changing my style just for this fact and i think you shouldn´t do this neither unless that is what inspires you the most. We only live once- follow your own passion! Now we come to the point where maybe some of you may think: OK, Felix, thanks for the tips, but if we look closely you haven’t really been killing it yourself on Instagram anymore. And yeah… that’s true. The days when I spent the needed time for this app are long gone. There are many different reasons for this fact, the biggest and most important of all being my wife and my two sons. They deserve my attention more than my phone, and this alone is already a disadvantage if I still wanted to keep my account growing as it once did. I also don’t feel as inspired by the app as I once was anymore. I don’t want to start circle jerking just exchanging likes and comments with others just for the sake of it. Was this helpful to you? Are you still confused? Leave a comment down below! 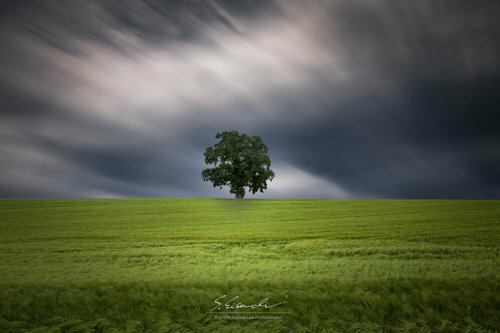 This is Part 2 of the "Top Tips for shooting landscapes", I you haven't read Part 1 of the series, make sure to follow this link. 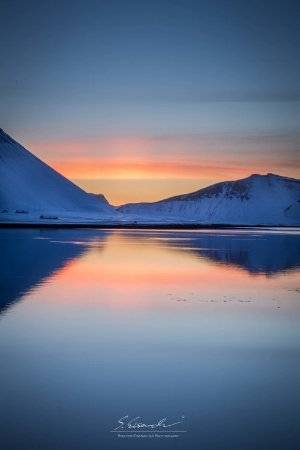 WHAT IS LANDSCAPE PHOTOGRAPHY AND WHAT IS IT ABOUT? 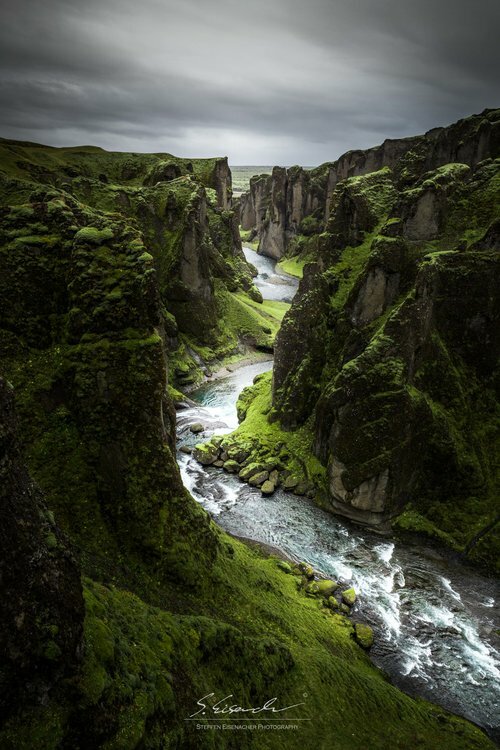 Nowadays landscape photography is often confused with adventure photography. In my opinion these are fundamentally different, even though adventure photography heavily features landscapes. Adventure photography is basically showcasing the great time you had including things like the hike you did or the boat you paddled in. One thing all adventure photographs have in common is that it will feature people or anthropogenically created features such as campfires in the image, often making the person the point of interest and only putting the landscape as a second. Here comes the difference. 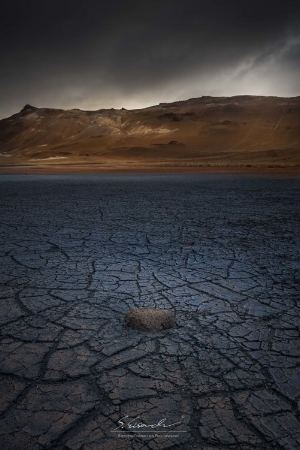 Landscape photography is about telling stories with the landscape itself. It is about creating interest using topographic features such as rivers, mountains, trees etc. and telling a story with it. That is where the first challenge comes in. Finding a composition and giving the photograph a meaning. Learning this will help you to stand out from the million of snapshots being uploaded to Instagram featuring different landscapes. Lighting is definitely something you need to consider. Most landscape photographers rarely shoot during midday, because the light is boring and very harsch. It often lacks saturation and colours. I will usually be out shooting during dawn and the early hours of the morning and then again during the late afternoon, sunset and into blue hour. But all that being said, a good photographer tries to adapt to the situation he is in. Especially with the use of filters you can also take great shots during a stormy midday. Packing with care is actually really important. Reading this you are probably thinking why I included this, but packing your stuff carefully can really prevent major frustration. I for example didn't always pack with care and so it came that I went on a 20km biking trip to a mountain to photograph a sunset to only realise on location that I forgot all my SD-cards. The only reason I rode there was to take photos. Coming back with just a crappy phone shot is incredibly dissatisfying. So keep this in mind. Depth of field is essential in your landscape photography. When you look at landscape photographs and compare them with portraits, you'll quickly notice one key difference. In landscape photography we usually want to maximise sharpness by creating a deeper depth of field. You rarely see images with a shallow depth of field these days, but if done right it can create a really cool and powerful effect, as well. To the right you can see a capture by me using a shallow depth of field (looks weird, right). Using this technique you can really stand out, as in most photographers eyes you are breaking the rules by taking that action. The shallow depth of field only works in some cases though and usually your aperture should be set to around f/8 to f/16 when shooting landscapes. Be individual. I know its easier said than done. By saying be more individual I mean not to copy other photographers work. Search for new composition and stand out with these. Nothing is more frustrating than seeing extremely talented landscape photographers moving from sight to sight and taking exactly the same photograph as everyone else has before. And like I said I am being caught up in the misery myself where ever I go, especially when you are on a trip visiting something, that you are only photographing because you were inspired by seeing a certain picture in the first place. I aways try to shoot a composition that is slightly different to the one we have been seeing all along. The last tip is to change it up. I see a lot of landscape photographers strictly shooting in landscape orientation. My tip is to get creative and use portrait orientation in your landscape photography as well. Using portrait orientation you will have to get a whole lot more thoughtful about your composition, as you will more than likely feature a lot more of your foreground. Back in the days I only used to shoot my images horizontally, but I personally believe that changing it up from time to time has helped me greatly to improve my photography. I am back with another article. This time we will discuss the top tips for shooting landscapes. I for myself haven't always been a landscape photographer. For me it all started with storm-photography (technically also a form of landscape photography), but over the years I have more and more found landscape photography one of the most rewarding types of photography and if you look at my website or my Instagram it will heavily feature landscapes. On this occasion, if you haven't read the tutorial about how to capture lightning yet, make sure to follow this LINK. This article is not about finding the right composition though, it is about the top tips for shooting landscapes. A tutorial purely discussing "How to find your composition" will be released next month. 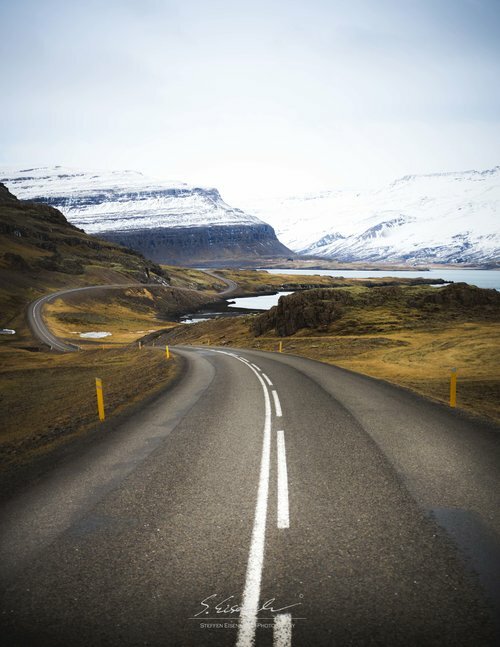 A road swirling towards on of many fjords in Iceland. Filters can make a huge difference in advanced landscape photography. The filters I personally use the most are Polarising and Neutral Density Filters. Polarising filters essentially do 3 different things. 1. They help you to cut out flare. This is especially of use when shooting seascapes or waterfalls. It can also remove the annoying glare from plants or leaves. 2. 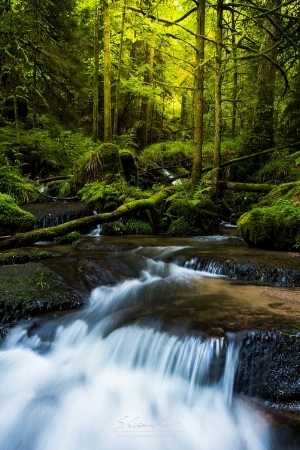 It can help you get more saturation in your photographs. This is particular useful if your are shooting in a very bright environment, where saturation is literally washed out. The polariser can help you to get a little more contrast back into the image. 3. The Polariser can help you with the sky in your landscape photography. Polarisers darken the blue sky and brighten up clouds. 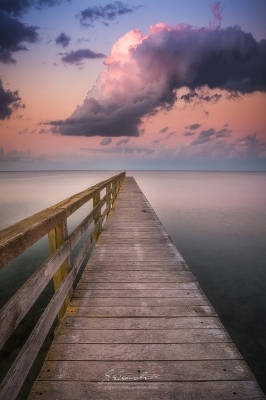 For most photographers this is the reason why they are using this type of filter, as it can create dramatic skies. Shot taken without a Polarising Filter. Shot with same settings, but with polarising filter on. Neutral Density filters on the other hand have a different task. Essentially they are "sunglasses" for you camera. If you put these on, everything gets darker and your shutter speed can be set much longer (Of course this depends of the ND filters itself, there is soft ones and really strong ones to suit your need). Neutral Density filters can help you create dramatic landscapes even on a rainy day or help you to shoot cool long-exposures by the beach even in bright sunlight. Shot on a rainy and boring day. With ND1000 attached to lens. 8 minutes exposure for clouds to move. Shooting Raw will give you much more opportunities in post-processing. When you shoot JPEG you will most likely not be able to recover shadows or highlights as you would have been able to if you shot RAW. Straight out of Camera shot. RAW!!! 30 second quick edit in Lightroom. RAW Power. With Jpeg you wouldn't have been able to recover the shadows this well. The histogram is an exceptionally important piece of equipment. Baldly said, the Histogram is a plain graph, which shows your tonal distributions from dark to bright. Especially when shooting a sunset or in bright sunlight, your photo might look really good on the LCD screen, but it is actually over or underexposed. Down below you can see what an overexposed and an underexposed shot could look like on the histogram. Basically if you find most of your graph shifted towards the right side, it can be a indication that your photo is overexposed. This also applies the other way around, if the majority of the graph is towards the left, your image could be underexposed. In some images tonal distributions like these might be working just fine, but for example if your a shooting a sunset and you want to capture that nice colour in the sky and you can see that parts of your sky are very bright to compensate for the lack of lighting in the foreground, check your histogram. If you can see your graph peaking at the right side, the sky will most likely be too bright to recover the highlights in post-processing later on. That's when you should really think about adjusting the exposure, even if your foreground will get darker in the process of doing so. If it looks like this, it is probably overexposed. If most of your graph is centred, your image is perfectly exposed. 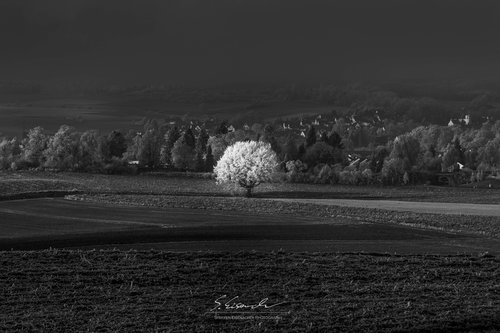 A good foreground can make your image much more interesting and appealing. Foregrounds can tell a story and complete your composition. As already stated above, a good composition is really important. I see so many photographers who have the newest camera, the best lens and the most expensive filters, but they just haven't put any thought into their image and what story they would like to tell. Foregrounds can also create scale an/or a sense of depth in your image. Carrying a tripod can make a huge difference between just taking a snapshot or taking a visual appealing and interesting photograph. Tripods enable you to shoot long-exposures at night or at daytime, so that you can capture the movement of water or clouds. If you're on a tripod during sunset you don't have to bump up the ISO all the way to get sharp photos, you can just set up on your tripod and avoid all that ugly noise. If you want to take an image of the highest possible quality, then a tripod is absolutely essential. Was this helpful to you? Are you still confused? Got ideas for Part 2? Leave me a comment down below! Especially when new to photography the ISO is the one thing that is really confusing everyone. I remember when I started with photography a few years back, I always struggled to set the ISO correctly and often ended up with pictures that were grainy and not very pleasant to look at. WHAT ACTUALLY IS THE ISO? Theoretically the ISO is the best parameter of the so called exposure triangle. which also includes Aperture and Shutter Speed. Back in the days ISO, which states 'Organisation for Standardisation', was used in film and was an indicator on how light sensitive a film was. Nowadays the ISO is used as a way to determine the light sensitivity of the camera's digital sensor. In most cameras the ISO starts with 100, in some cases also at 50, and extends up to 250.000, depending on the camera. It can be said, that the lower the number, than the less sensitive is your camera to light. This also applies conversely, the higher the ISO number, the more light sensitive the sensor. ISO can be extremely useful in all kinds of different situation, especially when there is a lack of light or in cases where you can't use your flash for the shot, you can just increase the ISO and you'll get the shot you wanted. As stated above, theoretically the ISO is the best parameter of the three, as you could always get the exposure you wanted without having to worry about blurred images while i.e. taking a shot handheld, but there is one huge downside. Using high ISO creates noise. Just check out the picture below. Looking at the picture, you will quickly find, that the right side doesn't look any good. Generally we can say, that you should always aim to set your ISO as low as possible, unless you want your images to look moody and grainy of course. WHAT QUESTIONS SHOULD YOU ASK YOURSELF BEFORE SETTING THE ISO? There is many question you can ask yourself before setting the ISO of your camera. Down below are some of these, which I am always asking myself before taking a shot. IS MY OBJECT STILL OR IS IT MOVING? The fact that an object or a person is is still or moving can make a huge impact on how you set up your ISO. Especially if it is still and you are shooting on a tripod, you can lower your ISO down all the way and rather decrease your shutter speed instead. SHALLOW DEPTH OF FIELD OR DEEP DEPTH OF FIELD? Do you want to have the whole image in focus and sharp or do you want out of focus areas/seperate foreground and background. Especially if you don't need a sharp and in focus image through out, you could really consider lowering your f-stop instead. CAN I USE A LIGHT SOURCE? DO YOU WANT TO PRINT YOUR IMAGES BIG? If you wish to print your images large, then a noisy image is no good. If your only shooting for instagram or facebook, your images will only be displayed very small and you will most likely even get away with a very noise image. Last but not least, the most important question you will have to ask yourself! If you are shooing handheld in a bad light situation, there is almost no way around using a high ISO. On the other side, when shooting on a tripod you can happily drop the ISO down all the way. HOW POST PROCESSING CAN HELP YOU OUT? These days, there is a lot of great software around and almost every photo editing program has the ability to identify and remove noise. To showcase this, I have used the same picture as above and just imported it into Lightroom and pushed the Noise Reduction to 100%. Check it out below. Click to enlargefor better detail!! As you can see, Lightroom did a great job at making the picture a little more pleasant to look at. Even though image quality decreased a little, I personally think this image looks way better now and I wouldn't hesitate a second to post this on my instagram. I am back with a quick tutorial on how to capture stunning sunbursts, as seen in the picture below. Having a sunburst feature in an image is a really cool thing to add. In my opinion it can really make a picture stand out and make it far more interesting than it actually is. And really, it is very simple and doesn't require much skill. - (optional) A tripod that keeps your camera steady during longer exposures. Not much, right, all you need is a camera where you can set aperture, shutter speed and ISO manually and some sun. The first thing you need to set up is the Aperture, as this is the component which will regulate how apparent the sunburst is going to be. For a solid sunburst you will need to set your aperture as small as possible. I would consider starting at something like f/16 and even work your way up to f/22 at times. Everything below f/16 will result in a less visible sunstar. ISO and Shutter speed will be set accordingly to the scene you are shooting at, but bear in mind that you can't change your aperture. The easiest way to shoot a sunburst is to partially block the sun with an object. This could be a tree, a rock or even a mountain. Shooting straight into the sun is possible, but usually you would have to reduce your shutter speed that much, that the foreground will be pitch black and almost non recoverable in post-processing. To the right (computer)/ above (mobile) you can see an example of a straight into the sun shot! Looking straight into the sun can be very harmful to your eyes. People often think that the sun would be less hard on your eyes when looking through the viewfinder of the camera, but that is terribly wrong. Just keep that in mind! Apart from that, capturing sunbursts is really easy. So go out and have some fun adding this cool feature to your images! Other than photography skills, I would love to know where and how did you guys get inspirations on adjusting the colour, compositions of photos, e.g the feelings and thoughts you can bring to a picture through colour adjustments? We get inspiration from the network of photographers we follow from around the world; seeing their work all the time, and experimenting with hues, it is possible to learn one’s unique style and what is popular on Instagram. We have put some popular adjustments into presets, which you can buy - or download for free - on our site. What are your thoughts about shooting in RAW? Shooting RAW is a must so that each image file has more data in it. This means there is more potential for editing and adjustments later on. This being said, sometimes shooting jpeg for time lapses is okay! Hello, my name is Nimisha. Photography is my passion and whenever I touch the camera it gives me a different emotional touch of love with it. I want to learn to be a photographer. If you could give me some ideas on how I can be a better photographer? Hey Nimisha, thanks for the great question! We get asked this a lot, and our main answer is always the same - believe in your ability and practice. There is no substitute for spending hours out and about shooting with your camera and then spending the time to edit your images. What inspired you to take such amazing & breathtaking shots and which thing or person has influenced you the most to do better? And one more thing what is the one thing you wish you would knew when you started taking photos? I suppose at the beginning I wish I knew that every image I took was good for the level I was at and that taking breath taking images takes time; so patience. I think we get inspired by the beautiful world around us, that is particularly what inspired Ian - travelling around beautiful South America wanting to capture the places as best he could. What are the Northern Lights like? The Northern Lights are pretty amazing, and if you have the opportunity to see them - take it and see them for yourself! What were your favourite places from 2017? You can see lots of places we visited on our XPO Creatives Instagram. Estonia was such a great trip from 2017 - as well as our South Australia trip. What was your favourite photos from @canon_photos from 2017? Jordan Robin’s over-under shot and the Santa picture we shared on Christmas day! You’ve probably already been asked this a lot but, how do you pick which photos to feature? How do people stand out when there is so much content? And, how do you chose who to sponsor? There are a few ways to get featured. Tag us and use our hashtags is the main way. But also make yourself heard, contact our team directly with an interesting shot and story. How do you choose what brands to work with? We are very selective with who we work with and we know what our audience like and why they follow us. Our community is about photography and travel and so the brands we work with must align with these interests. Typically we partner with tourist boards or hotels, aiming to share stunning locations to photograph around the world. Who is part of the @canon_photos team? Henry Nathan founded the page. In 2016 Ian Harper joined to create XPO Creatives. In 2017 Piers Nathan came on board and now runs CP Collectives. There is also a small team of people behind the scenes, a business director and a team of content creators. Hello. My question is regarding aperture levels. When I shoot a landscape, I don’t seem to find a real difference by using different aperture levels, other than the amount of light. When I shoot at f/22 or f/4, the focus of the image doesn’t seem to show a huge difference. What do you think about different aperture levels? Aperture levels can make a big difference to an image as the depth of field is changed. Shooting on a lower f stop will likely blur the background, whereas shooting at a really high f stop will enable more of the image to be in focus. Check out blogs or youtube videos on the topic to learn more! When did brands start paying you to travel? 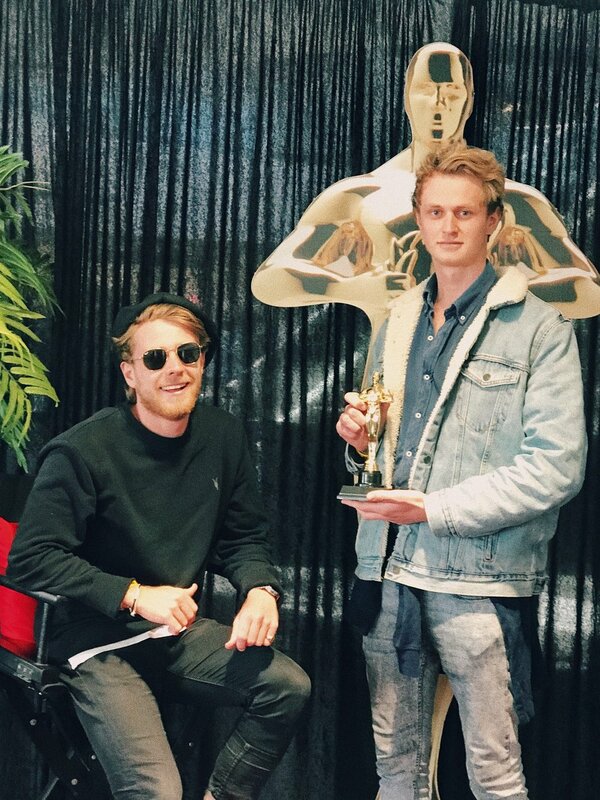 Back in 2015 Henry was presented with paid opportunities to create content and travel. But the focus is now not so much on the pay but more on the where and the why! Is investing in expensive equipment worth it? At the start, and you are new to photography, we would suggest getting an entry level DSLR and really understanding how to shoot manual, compose images and edit. If you have done that and wanting to take your photography to the next step then perhaps it is worth spending some more money, but we strongly believe great images come from great photographers, not great equipment. What mode would you prefer to shoot in? like manual, program AE, etc. We normally shoot in either Manual or AV (Aperture priority) depending on the conditions. What is the best way for an up and coming photographer to get his or her content/work into the hands of the right people in order to become a professional photographer? Practice and refine the skill set or field of photography you want to be known for. Get work experience and network, learn from people who are doing what you think you may want to do. How can you always maintain inspiration to be creative no matter how you’re feeling? We shoot as a team so there and so there is always someone to get the rest of us going if someone is feeling uninspired. Also, keeping it fresh! Mix up locations or editing styles to stay engaged in photography. How did you build up 2 Million Followers? It took time and work, here is a full video on how we did it! What made you start @canon_photos? and what gives you the inspiration to continue? I started canon photos at school whilst I was shooting on a Canon camera. I wanted to see the photos other people were getting on Canon from around the world. Back then Instagram was very different and the account was created our of general curiosity. As the platform grew it became about sharing this platform with great photographers and giving them the stage to share their work to the canon photos community. In 2018 our creative team will undertake new and exciting projects around the world and hope to get more and more people involved, both behind the scenes and out with us on projects. There is lots to look forward to with trips planed on every continent already. It will also be a big year for CP Collectives, Horizon Clothing and the other exciting new business developments we have going on. How To Use Our Presets Tutorial! This is a tutorial from our founder @henry.nathan explaining exactly how to download our presets and then use them on your photos. We hope this helps you all! A lot of people regularly ask if my “over under” images are photoshopped. My answer to them is no they are not. Although you can make over under images in Photoshop by blending images, all of my work is completely captured in camera with no image manipulation. A true natural representation of what I capture when I am in the ocean photographing. An over under, also called a “split shot” or “split image” is a style of underwater photography where you capture an image where you can see above and below the water captured in a single exposure. In the top half of the image you can see above the water and in the bottom half of the image you can see below the water. For me the over under is my favourite kind of underwater photography. It is a very unique style of photography which gives you an image that helps to connect the familiar terrestrial world with the unfamiliar marine world. My favourite time to shoot over unders is on sunrise or sunset to capture atmospheric skies paired with the marine life that lurks below the water’s surface. The over under is a difficult image to capture, but like anything practice makes perfect. There is a bit of gear required and specific settings which help making capture over under images easier. I am going to be showing you the technique, gear and settings I personally use to capture my over under images. What You Will Need For Photographing Over Under Images. · A DSLR, mirrorless camera or a compact underwater camera such a GoPro. · An underwater camera housing to allow you to use your camera in the water. I shoot with AquaTech underwater housings and highly recommend them. · An ultra-wide lens. For full-frame I recommend using 16-35mm, 14mm or 15mm fisheye. All of these lenses will give you a super wide field of view which is essential for shooting over under images. For APS-C sensor 10-18mm or 8-15mm fisheye would be ideal. A dome port on the front of the camera is essential for shooting over unders, I shoot with an 8” dome port. You can use a flat port but it is much harder and you will never very calm water. An underwater flash or strobes. These are essential if you are planning on shooting over unders on sunrise or sunset to balance the exposure of the foreground with the sky. Shooting over unders during the day time do not require the use of strobes or flashes. When I am shooting over unders I will often be in the water for a long period of time so I wear a wetsuit to prevent heat loss. A mask, snorkel and fins are also required. There is a bit of planning involved with shooting over unders. Firstly, you need clear water, if the water is murky or dirty I won’t bother shooting. A local knowledge of the area you are shooting in is also essential. A knowledge of how swell, wind, tides and currents will affect the visibility of the water is required. Weather conditions when the wind is light and the swell is small make the perfect conditions. Calm bodies of water make shooting over under images much easier. Sheltered beaches, lagoons, rivers and protected bays are ideal places to shoot over unders. It is always good idea to check a location first to see if it is a suitable place to shoot. Entering the ocean is always a risk so ensure you are a capable swimmer and never go out shooting in dangerous conditions beyond your capability. The conditions on the ocean can change rapidly so make sure you always check the weather and surf forecasts before you go out shooting. When shooting over unders I will only ever shoot in manual, especially when shooting on sunrise and sunset when the light is ever changing, you want to be able to easily make adjustments on your camera accordingly. For sunrise and sunset as a rule of thumb I will have my camera set to f/14, ISO 640, 1/200sec. For day time, I will have my camera set to f/14, ISO 200, 1/400sec. I will then take a test shot and adjust the ISO and shutter speed accordingly to get the correct exposure. When shooting with strobes or flashes I also have them set on manual and adjust accordingly to get the correct exposure, either increasing or reducing the output of light. I never shoot with auto settings on my flash as it will often overexpose and blow out highlights. When shooting with flashes and strobes it is easy to overexpose your foreground so make sure you check your histogram to make sure you’re not blowing out any highlights. When shooting over unders I shoot anywhere between f/11 all the way down to f/22, this will give you a good depth of field throughout the photo. I find that f/14 is the sweet spot for my 16-35mm f/4 and 8-15mm f/4 fisheye. Each lens will have a different sweet spot so experiment using different apertures till you find out what works best for you. When shooting with strobes your sync speed will all depend on the camera you’re shooting with. I shoot with a canon 5d Mk 3 which has a sync speed of 1/250sec. I will shoot between 1/250sec down to 1/60sec. I don’t shoot any slower than 1/60sec otherwise you will have too much camera shake and get blurry images. Shooting on sunrise or sunset 1/200sec and 1/250 sec are the shutter speeds I shoot with the majority of the time. If you are shooting during the day and shooting a static scene where there isn’t much movement use a shutter speed of 1/125sec or faster. For shooting moving subjects such as a turtle or a stingray use a shutter speed of 1/400sec or faster to freeze the movement. Shooting on sunrise or sunset I will use an ISO of 640 up to 1000. You can also shoot at higher ISO depending on how your camera handles the noise. During the day time, I shoot with an ISO of 200-400. If I am shooting a slower shutter speed I will lower the ISO and for shooting a faster shutter speed I will increase the ISO accordingly. I have my focus set up with one focus point right in the middle. I will always look though the view finder to make sure I am getting an accurate focus. When shooting in low light such as on sunrise or sunset I will focus using the live view on my camera or use a torch and aim the torch to where I want to focus. When shooting with a fish eye you can have the focus set to infinity. When you are shooting over unders I can guarantee that you will always get water droplets form all over the dome. To reduce water droplets forming I will cover the dome in a layer of saliva and leave it to dry over-night. Then when you are out shooting remove the saliva so the dome is nice and clear, this will help minimize the water droplets on the dome. Before you take a photo give the housing a quick dunk under the water then take the shot so you don’t have water droplets on the dome. After every use (especially in saltwater) make sure you wash your housing in fresh water and let it soak for about 30mins submerged in fresh water to remove any salt build up. Always make sure any rings on your camera housing are lubricated with silicone grease and are free of debris such as sand or hairs. Each time before you shoot submerge your camera housing below the water and hold for 10 seconds to make sure you’ve got a water tight seal and no water is leaking into your housing. If you treat your housing well, it will treat you well for many years to come. So, get on out there in the water and get shooting! The next step now that you’ve got your camera settings all set, you want to submerge your camera and housing half below the water so there is an even balance above and below the water. I look through the view finder at all times to ensure I have an even balance above and below the water. Next step is to fire the shutter and there you go you’ve captured an over under image! Well done! You might be a little disappointed at first but like anything practice makes perfect and overtime you will find out what works best for you. If you have any questions, please comment below and I will be happy to answer them. A lens of your choice. A sturdy tripod or way of ensuring stability. What is a long exposure? A long exposure is when the shutter stays open for a long period of time, allowing the sensor to capture the light for longer. This is in contrast to the normal goal of using a fast shutter speed to freeze and capture a moment. When you start in photography, it is typically said that you want to work around having the fastest shutter speed possible, to make sure you don’t blur a shot with your shaky hands, this is taken to extremes in sports photography where capturing the action is the most important thing. On a camera, shutter speed is broken down by it’s fraction of a second. Typically photos are taken in a range between 1/60 - 1/250 meaning 1/60th of a second and 1/250th of a second. It is one of those weird ones where the bigger the number, the shorter the period of time, and so the faster the image is being captured. These speeds are pushed to extremes for sports photography which can extend up from 1/320 all the way to 1/4000 for capturing football and tennis action all the way to motor sport. However, want you capture something so fast, you give very little time for light to reach the sensor/film of the camera. This means photographers are dependent on venues having excellent lighting, or shooting during the day. On the opposite side of the dial, long exposures have the opposite two effects, blurring motion and letting the camera get more light. You can use these effects to extend the realm of what you’re able to capture with your photography. You can set the shutter to just 1/2 a second to blur something fast like the torrents of a waterfall giving your image a lovely sense of motion as the rocks around it stay sharp. But you have to be careful that having such a slow shutter speed wont over expose your image, if the speed is no longer than 1 second, typically you can counter this by making your aperture as small as possible and lowering your ISO to the minimum. However in some cases you can use this extra light to your advantage, with night photography you can extend your shutter speed up to 30 seconds or beyond to let your camera pick out details of the night sky we can’t see with the naked eye. To increase your chances you would do the opposite of shooting the waterfall during the day and open your aperture as wide as possible and increase the ISO to a usable level to let the camera get as much light as possible. As a side note, this is why some lenses can be incredibly expensive. Most lenses have a optimum performance at 2 stops in from their most open setting. 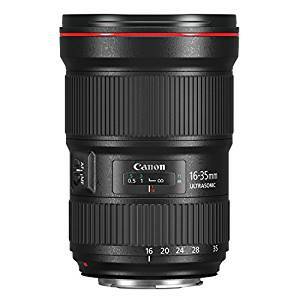 So an 18-55mm f3.5-5.6 Lens means that at 18mm the lens’ widest aperture is f3.5 and at 55mm it is not as wide, only being open to 5.6 and so according to the rule of adding 2-stops you would get the sharpest results at f5.0 when at 18mm and at f7.0 when at 55mm. Anything wider won’t be quite as sharp and beyond will again continue to soften up slightly. This can be an issue when wanting to capture a long exposure, because it means that you might be pushing it to its limit by making the aperture as small as possible, something like f22. Whilst you get a better exposure for the slow shutter speed, you might find that your photo isn’t as sharp as normal even though you were using a study tripod. More professional lenses are designed to have a wider ‘sweet spot’ and so wont be as affected by this, so they are not only sharper, but more consistently sharp too. Hence the often upsetting price tag! Long exposure is an awesome in-camera technique to give your images motion and life. But also an opportunity for creative flair and capturing a place in a more evocative or unique way. A great starting point to really see the effects of different shutter speeds would be to shoot traffic at night, as the cars lights can be so bright in the dark that they easily paint across the shot depending on their speed and your shutter speed. To give you a brief demonstration, here are 3 shots taken at different shutter speeds, of the same view. exposure is just right to allow multiple vehicles to enter and exit the frame, allowing for nice elongated light trails, without interruption to blend together. Bare in mind that this is only an example of these cars on this road, in some instances, traffic might not be as slow and so a speed of 10s might be far too long. Something you might notice is that in the final image, the light trails fade in the foreground, but remains totally bright in the previous two. This is because this is point in the image where the lights move across the most distance relative to the angle of my camera. In the background, the lights are moving more directly towards the camera, so they often overlap, keeping them bright. This is evidence of the extra light getting into the camera due to a longer exposure, but not as you might think. As the shot is taken, if one light passes by for just 1 second the camera will continue to capture what is behind the light after it for the remaining 9 seconds, effectively overwriting the light that moved (The brighter the initial light, the longer this takes). You can use this to actually erase people from an image, with a long enough exposure, as they move, the effectively erase themselves as the unchanging background continues to expose in place of where they just were. This is worth considering with light trails because whilst the exposure may be long enough for the lights to move through your composition as you hope, the exposure itself may be too long and the lights lose their brightness. There is a way of countering this, which I will cover in the next section, after these tips. However, if you don’t have a remote or like me keep forgetting it then a cheeky work around is to set the camera onto a short self timer, so that your hands are away from the camera before it takes the photo, giving you perfect stability! However harder to time right if you want to capture something specific like a passing bus! If you have image stabilisation on your lens, but your camera is perfectly steady on a tripod, it may well be worth turning off IS, as leaving it on it wont be used to being so still and the stabilising element may still attempt to counter movements that are not there, effectively creating shake inside the lens itself. That being said, I used to follow this rule, but sometimes my tripod is so lightweight for travel it may be susceptible to occasional light shaking from high winds, particularly if I am zooming in during a long exposure, and in these instances I have found IS to still help, however I don’t think anyone would still recommend it. Easiest thing to do is just turn it off for a few shots just in case and then turn it back on again! You can also take long exposures further, by not relying on capturing that motion in one perfect shot. This is useful not just because of the previous issue I pointed out, but because long exposures beyond 2s can be prone to greater image noise (a pixelating grain) because of the sensor working harder than usual. For some of my favourite long exposures, I took multiple shots and layered them in photoshop so that I could have control over the motion in the final image. 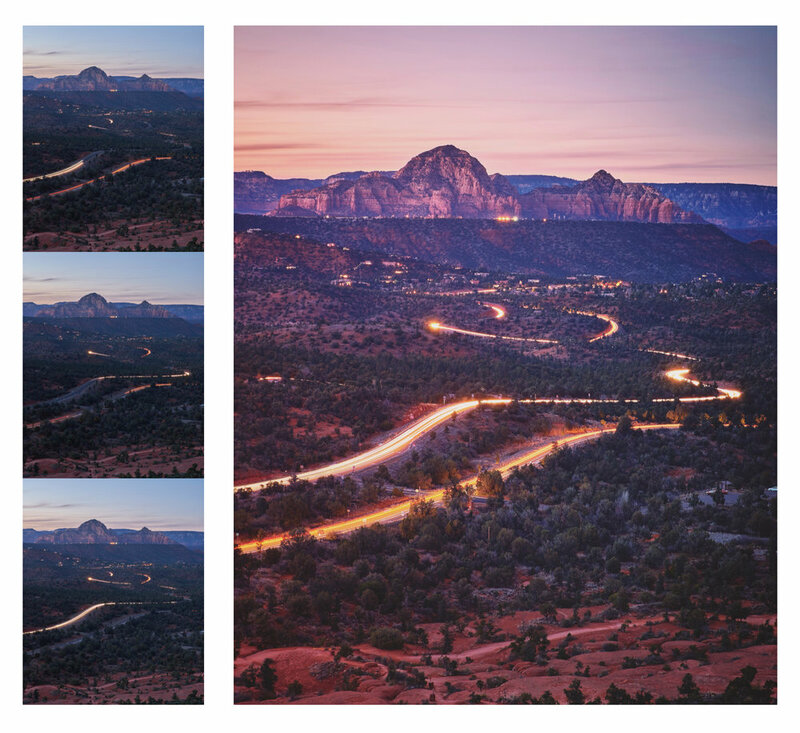 For example my Sedona highway shot. I love being able to use this blurring of motion to enhance an image, it gives the image a pace, illustrating the life within the frame, whilst also highlighting the dramatic forms, as the rocks of buildings remain sharp in contrast to the blurred softness of the lights or water. I wanted to take it further, to create these images but in a way people do not see very often, so I decided to figure out a way to do these long exposures during the day. This would normally present the issue of filling the camera with too much light. So to counter this I bought a neutral density filter, this basically acts like sunglasses for your camera and you can get them in dramatically different levels of darkening effect. Some lighter ones for only slightly slower shutter speeds that would help with exposures of something fast like a waterfall. But for what I wanted to do, traffic in a city, I’d need something darker to allow for such a long exposure in the bright midday sun. I opted for the 7-stop Nd Pro-Hoya. I then used this in New York to try and capture famous angles with a new twist, giving the life to the place, rather than freezing it! I am really happy with the results and still take this filter around with me wherever I go. 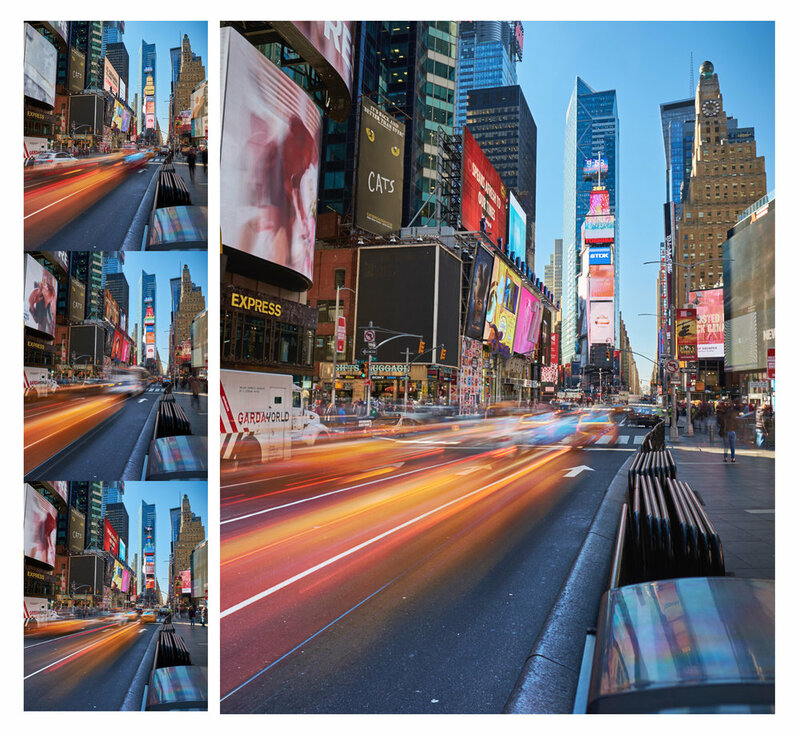 But, during the day there are no harsh lights to paint across the image clearly like at night, and so to get that iconic yellow cab motion in Times Square, I employed the stacking technique again to build up the traffic with a few passing cars as I felt one alone was too faded! I love long exposure photography because not only does it add life to an image, but it can be used in so many ways, to capture such different things! Traffic at night is a great place to start as you don’t have to worry about any fancy kit, just a camera and some way of keeping it still! Even in London when out without all my gear I’ve found an opportune bin or even just used my bag to rest my camera on as I try a few shots. The important thing is to dress warm and stay visible, it isn’t great to make a habit of wondering around roadsides at night if no one can see you! I will leave you with my favourite long exposure, taken in Canada when I had the a lake to myself as the sun set. I set up my tripod to use the rocks as a nice texture leading in to the waters. I then used a circular polariser to cut out some of the reflections and let my camera see what was under the surface of the lake. On top of that I then put my ND Filter, allowing me to do a long enough exposure to turn the rippling water into glass, creating a really serene image. The added bonus being that the flattened water created an even more vibrant reflection for my camera as well, creating the amazing blue and red colours on either side of the rock! Here is something a little bit different from me today. Usually I am the guy, who writes blogs about photography. This time I'm going to change it up a bit. Instagram have changed their algorithm again. I am writing this blog, because I think this is the biggest change to Instagram since they have removed chronological feeds in 2016. The new algorithm was introduced at the beginning of this year and a lot of people would've noticed that by significantly dropping engagement over the last month or so. As a content creators it is important to stay ahead of the algorithm, so that we can make the best choices when it comes to posting photos and engaging with our followers. The blog is going to specifically outline what changed and how you can beat these new features. Ever since Instagram changed the chronological feed order, their mission was to show relevant content first. With the new updates Instagram wants to support this action. So from now on, only 1/10 of your following might potentially see your post. If your post does really well right from the beginning, Instagram will release the post to the other 9/10 of your following. So, if your post only has very little engagement right on from the start, it might only be seen by 10% of your followers. A lot of people on Instagram have been using comment pods to increase their engagement. With the new algorithm they have been punishing people using these pods. They are a lot of reports of people being shadowbanned by Instagram. So try to avoid these comment pods. Shadowban, also called Ghosting, is the act of blocking a user or their content from an online community such that the user does not realise that they have been banned. Another interesting feature is, that Instagram is limiting or restricting your potential reach if you aren't replying quick enough to comments on your photos. The time frame to reply, set by Instagram, is 60 minutes. The more engagement, the more clicks/views on your image. In an attempt to reduce the impact of botting on engagement on Instagram, comments with less than three words will no longer count as active engagement on your post. So, if you're only getting comments with less than three words, there is a big chance that your post will only be seen by 10% of your audience after all. 30 hashtags: Using 30 hashtags is now considered as being spammy and there is quite a few reports of people getting shadowbanned because they were using all 30 hashtags. It is now recommended to only post around 5-10 hashtags, which are really fitting to your image. It is reported, that this results in much higher engagement, as well. Never post the same: A lot of people always use the same hashtags on every post. Don't do that. This is also considered as being spammy now and will result in you getting shadowbanned by Instagram. Hashtags in comments: Always post your hashtags in the description now. Hashtags posted into the comments aren't recognised by Instagram anymore. People have now found out, that if you edit your description or if you try to tweak your hashtags, Instagram is going to drop the posts visibility. So the best thing you can do, is to post your photo with hashtags and everything included and if you mess up the best thing is to delete and repost it right away. These are the most important changes, that can really affect your engagement. Before writing this blog, I have tried to avoid some of the action I had previously taken and the engagement has really increased again. With these changes Instagram is really planning on turning the game around. We already saw this last year, when most botting services, such as Instagress were shut down by Instagram. They are really aiming to get rid of spamming to build a highly active community with real users. The above stated is based on what I was able to gather during informing myself about the new algorithm. If you look closely at your account or at the ones of others, you will quickly notice, that most of these changes are obvious and easy to be identified. That being said, Instagram obviously hasn't put out a offical statement about these changes and only they know what really changed. Finding your composition can be mind boggling. But I can tell you now, that a well thought through composition is what will eventually make you stand out from the rest. Composition is what creates interests and meaning. Composition makes you tell a story with the image you have captured. I know a lot of photographers who have the best camera on the market, the most expensive lens and almost every filter there is, but all this gear doesn't make you take a great photograph. I would take it even so far, that you could take better and more meaningful photos with a cell phone, than some of the photographers with thousands of dollars worth of gear do. I, by any means, am not the best photographer there is. I for myself are still learning about photography everyday, but I really want to let you all know the things I think are most important in finding a composition that can make your photography stand out amongst others. First I would like to start with some basic compositional rules, and later on I will mention some of the rules which are rarely talked about. All the rules will be discussed with landscape photography, but most of these also work on other photography styles such as portrait, architecture etc. Notice how the church and the horizon are both aligned within the rule of thirds. In my opinion a nice leading line is one of the most essential rule there is in landscape photography. 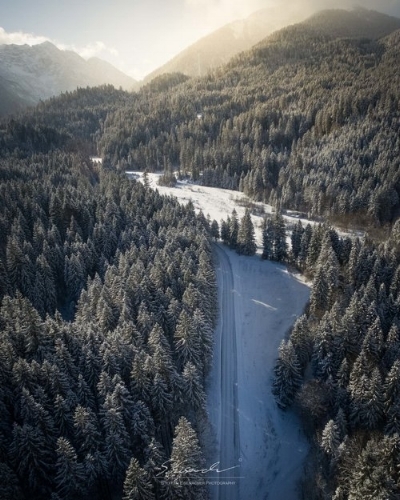 Using rivers, roads, mountains and valleys can create a perfect line towards the main part of the image (in some case the leading line is the main part of the image). Leading lines will make the viewer follow along most of the image. They can really make the image interesting. Symmetry has always played a huge factor in my photography. I love it when everything is balanced. Symmetry is also very eye-catching. Symmetry of the pier, also a leading line in this case! Patterns and textures are not only very pleasing for the eye, they will also fix the viewers to the image. Humans are know to have certain need of figuring out whats happening once they see things (patterns, textures but also objects) twice or even more often. Very minimalistic photograph. Still very pleasing and interesting to look at. Minimalism can really turn a quite boring frame into an interesting and captivating photograph. I have found minimalism to get really really good responses from the viewers. I will definitely try to incorporate this technique a lot more into my photography. Foreground interest can be vital to tell a story. This technique works best with wide angle photography. Foregrounds also incorporate a sense of depth into your photography. I love to change the angle. Get down as low as possible or as high as possible. Especially since drones have entered the world of photography this technique has gained a whole lot more attention. You instantly know where to look at. You are probably thinking why I listed contrast here, but contrast can really isolate objects and make them stand out. With contrast you can clearly define your point of interest and support the story you are telling. The point with the most contrast is the top of the glacier. You will always look at that area first. Be mindful about your composition. Especially in landscape photography it is important to leave out things which might be distracting to the viewer. In case you can't remove the distracting object on scene by zooming or moving the camera you can also crop or clone in post-processing. ... so I removed it. Depth can really create a cool composition. Two forms of depth can be integrated into your composition. A shallow depth of field, as seen in the picture with the ice block in the foreground or a deep depth, where everything is sharp and in focus (picture with the crack). Of course you can combine multiple techniques, but beware that you don't overload your image with content and meaning and confuse the viewer. 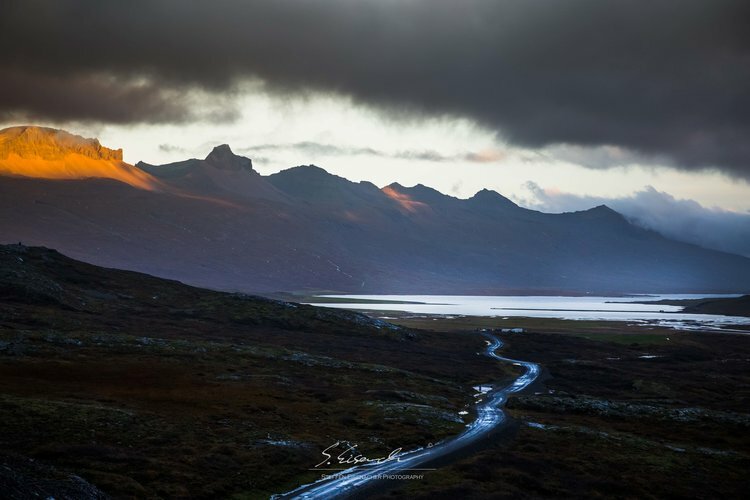 The contrast between the clouds, sky and mountain and the road will ultimately lead you towards the fjord. Final thoughts: Obviously all these techniques aren't for every location you shoot. Sometimes they work really well and in some scenes they just don't. If you think a composition looks way better than what the rules stated, you might as well just shoot it like that. Always consider all your options! Taking a risk and experimenting can sometimes really be worthwhile. 7 Tips For Better Photography! "You don't have to be an expert photographer to follow these 7 simple tips for better travel photography!" Here are my favorite ways to add a little pizzaz to your travel pics, whether you're capturing memories with a smartphone, Canon DSLR camera or GoPro. 1. Start with the basics, symmetry. Symmetry is simple to do. Align your focal point in the center, capture images that have a similar or identical left/right side for a cool framing effect around the central focal point. Manipulating shadows and light can highlight certain areas of an image and add drama. Here I featured streaks of light across a mountainside, striking beams of light at night, dark silhouettes with a cityscape and sunrise framed by darkness. 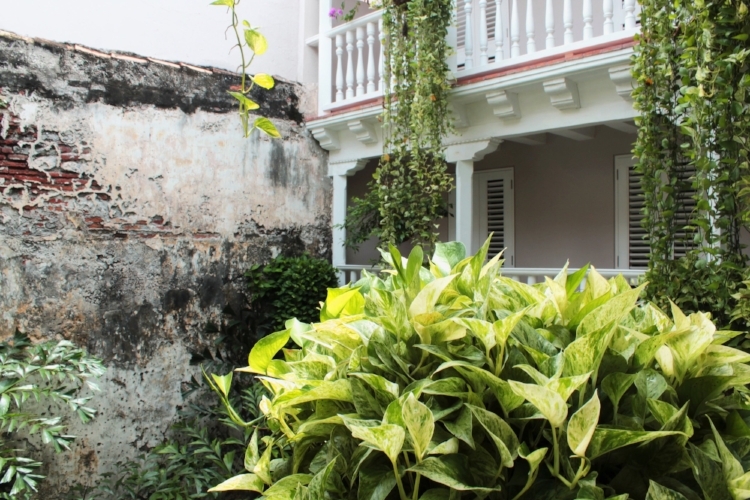 I love depicting an "inside looking out" vantage point in my travel photography. I do this by capturing landscapes or distant objects inside of things like windows, rails, fences, or even large architectural elements like the aqueduct featured in the far right image above. There's no better way to add depth to an image than by having an object in the foreground. An image can look flat when everything in the picture is at the same distance. Try blurring objects in the foreground and only focusing on what's further away for even more professional looking photos! This is how I depict motion in an image. Most smartphones will do this automatically, or you can use a lower shutter speed on a digital camera. Fountains and waterfalls are the easiest place to start, where everything in the image is in focus and the water blurs. However, I'm a huge fan of standing in the middle of a crowd and using this technique on the passers-by. It's my favorite way to showcase a city in motion! I find scenes to be more interesting when the camera is at a near perfect straight angle looking up. Especially when there is something interesting, symmetrical, or a cool detail that you otherwise wouldn't have noticed. For example, the palm trees above seem more towering with an upward perspective. Combine this technique with symmetry and you get an image like the La Sagrada Familia staircase I captured above. I think unique buildings and interesting architecture look best against a monochrome background... making the sky a perfect choice! The eye is forced to look at a building's details when there is nothing else in the image. Keep these tips in mind to enhance your travel photography, even if you're only using a smartphone. And as always, these are just my opinions and what works for me! I have been asked multiple times in the last few weeks how I manage to capture lightning and if I could provide some useful tips. That's why I decided to add a blog, where I will from now on release tutorials and useful tips about capturing, editing or even designing content! A lot of people always tell me how hard they think it is to capture lightning, as you never know when a lightning strikes. I often hear comments like "Wow, you have timed thats shot perfectly" or "You've got so much luck when it comes to capturing lightning strikes". But I'm telling you now, after this tutorial, you will look differently at the matter. When you know what you are doing and how to set up your camera, the task of capturing the electric surges will be as easy as anything! - A remote trigger, if your camera doesn't have a built in one. This is useful if you don't want to press the shutter every time or want to seek shelter in the car/house. The remote tigger is optional. - You will need a storm with some decent lightning! As you can see, you won't need too much equipment for shooting lightning. Maybe some of you reading this might wonder, why I didn't include any lightning sensitive devices, such as lightning triggers (they automatically release your shutter when there is a lightning strike). That's because, especially for beginners, they will be way too complicated and not really necessary in my eyes. If you aim to shoot pictures at daytime you might need to look into them, as you can't really expose the sky for very long. Since I don't really like to shoot lightning storms at daytime, as the pictures will look flat and boring in most times and rather shoot at night, they really won't be of any need! After you have set up your gear, you will have to change the settings of the camera accordingly to the thunderstorm. This can be tricky if it is your first time shooting a thunderstorm, or if you have never really used long exposures. I will now give an insighton how you should set your shutter speed, aperture and ISO in different situations. It is actually a really easy task to determine how to set your shutter speed. It all depends on how much lightning the thunderstorm produces. If the lightning rate is very high and there is constant lightning, I wouldn't set the shutter speed very high. If lightning flashes multiple times during one exposure you will start to get unsharp structures and ghosting. If you look back at Image (2) above you can see that some clouds appear twice in the image. That's something you don't really want, as it somehow looks fake and unrealistic. So if you are facing a storm with a high frequency of lightning, keep your shutter speed lower. 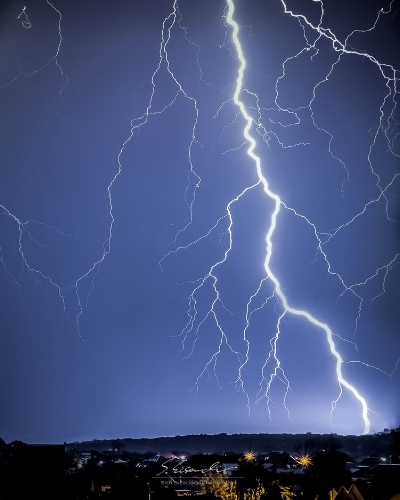 If the lightning isn't very frequent or even rare, you can easily expose your photo to 30 seconds or higher! (4) Storm in Germany, 30 sec f/9 ISO 400. The settings for this image weren't perfect! FIND OUT what went wrong below. The way you should set up your aperture very much depends on how bright your lightning strike is. Basically, the closer the bolt strikes, the lighter it will be. So for close lightning strikes you will have to choose a high f- stop number/small aperture. I would usually recommend to have it set somewhere between f/8-f/16. If the storm is far away (usually more than 20km) you can slowly increase your aperture.I have personally shot storms on an aperture up to f/1.4, but the storm was also more than 60km away. So if you look back at picture (4), what do you think was wrong with the settings? Yes, you are right, my aperture was too high. It should have been around f/14 or smaller! If you shoot at small apertures, you will often get a lot of dark frames in between, but I'm telling you that's perfectly fine, because when the big bolt strikes, your whole picture will be illuminated. If you didn't change your settings, because you thought everything is underexposed, the lightning won't be blown out like it is in my picture. Last but not least we will have to talk about the ISO. As you probably know, ISO represents the light sensitivity of the sensor of the camera. I usually try to keep my ISO low, especially when the lightning strikes are close, as they will illuminate the surrounding landscape. Similar to the aperture, with a high ISO you tend to overexpose lightning eventually. If you've got thunderstorms far away, you can increase your ISO accordingly, which will get you some nice detail of the landscape. But be aware how your camera handles noise and check your ISO limits beforehand! - Find a bright object along the horizon, it could be a lantern or a distant house. If your camera doesn't support Live-View, here is another option. It is called Infinity Focusing. Go and have a look at your lens now. Almost all lenses have an infinity mark on their focus ring [Pictures (7) and (8)]. Just set the camera to infinity. With some lenses the infinity mark is not absolutely correct (i.e. Samyang/Rokinon lenses). What I suggest is to take a shot, see if you are happy with the sharpness, and if not, slightly adjust the focus ring and check again. If you found the sweet spot, I would use a little bit of tape to mark the spot, that you find it easier for the next time. You can also do this at daylight of course, so that you don't have to worry about this at night. You will definitely need to be patient. It can take a while to get a shot. If you are not a patient person, then lightning photography probably isn't a thing for you. For example, Picture (1) was probably one of the hardest for me. The storm I was looking at only had a lightning rate of around 1 strike every 15min. Most of the lightning strikes were in the clouds. I waited around 1 1/2 h for this lightning strike to happen. Of 900 photos taken that night, this was the only one with a bolt. But I tell you, being patient can be so rewarding in the end! Sometimes though, you will also come back empty handed! Don't be discouraged by that, there will always be another chance! As already stated, lightning is very dangerous and a lot of people die every year. DON'T risk your life for a photo! I am talking from personal experiences. I have already almost been killed by lightning twice. Once in Germany and once in Australia, where lightning has struck closer than 50m to me. One time even closer than 20m. When I was younger and inexperienced I was really reckless in terms of thunderstorms. Nowadays I am very careful and all I'm telling you is to have the same attitude! So use common sense and stay close to a shelter, like a car etc. Lightning photography is fun. I often see myself jumping and screaming when I managed to capture a lightning strike, but sometimes it can also be extremely frustrating when come home empty handed. 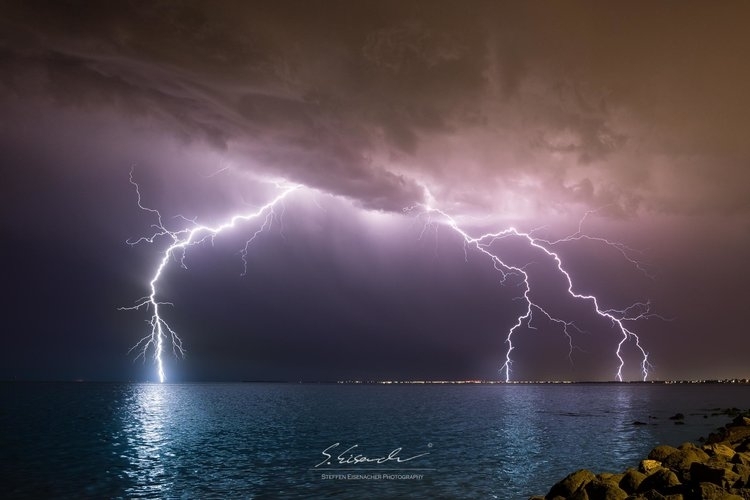 Over all, you don't have to be that lucky to capture a shot, especially at night when you use long exposure, you're almost ganrantueed a lightning strike during an active thunderstorm. The rumor that you have to be quick really only applies to daytime shots. With what you have learned in the tutorial, you should be able get some fantastic shots. SO HAVE FUN, GET SOME AWESOME SHOTS, BUT MORE IMPORTANTLY BE SAFE!